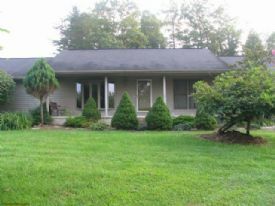 Decorate to your heart's content in this beautiful home that rests on 7.7 acres in Helenwood and only a short drive to shopping, recreation, banking, and other activities. This welcoming floor plan has beautiful features throughout the house. It is located in a private but convenient location. Call today to see this beautiful home!